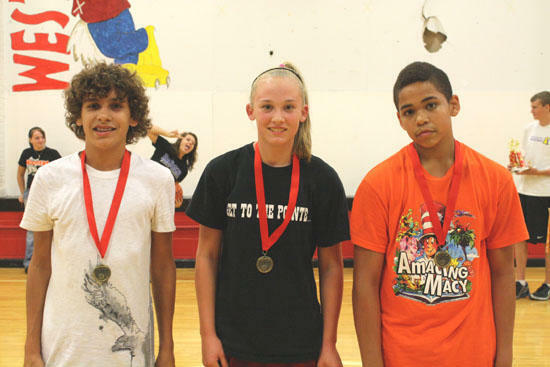 Runner-up: WSS Ballerz: Sam Sissom, Kendra Maynard and Jonathon Mitchell. West Side hosted its first Soup/Sub Supper and 3 on 3 Tournament on October 1. 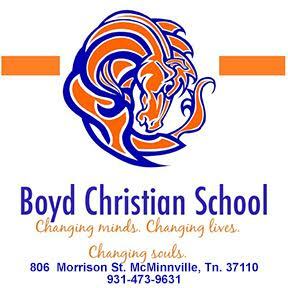 The food was wonderful and the basketball play was awesome! There were 8 teams registered and they played a round-robin which gave each team 7 games. The two teams with the best record met in the Championship game. The 3 on 3 Champions were The Redeem Team, with Jacob Nave, Walker Hatfield and Jake Burdick. Runner-up was the WSS Ballerz, with Kendra Maynard, Sam Sissom, and Jonathon Mitchell. Thanks to the rest of the players who participated in the 3 on 3 competition: Josh Williams, Tucker Francis, Courtland Ryan, Collin Anderson, Sam Schau, Jake Parrish, Kelli Davis, Emily Sissom, Sydney Elrod, Kelsie Smith, Autumn King, Katie Hickman, Sarah Hickman, Allison Bush, Mackenzie Adams, Ashleigh Anderson, Brittany Dickens, Tristan Choate, Dustyn Kilgore, and Umar Rasul. A big thanks to our referees for the night, Jared Nave and TJ Mitchell. You did a terrific job! Thanks also to the parents and spectators who made this event a huge success!